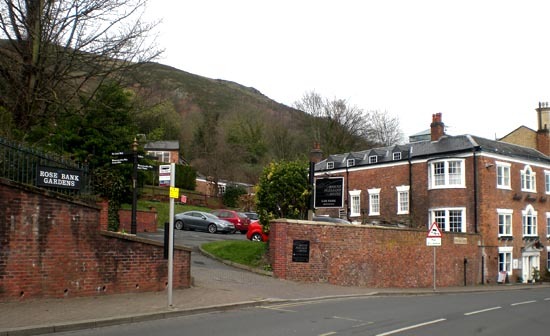 This is a project to enhance the access between Great Malvern and the Hills based on developing facilities at the Mount Pleasant on Belle Vue Terrace. It was initiated in 2011 by the Friends of Malvern Springs and Wells and the Spas Research Fellowship. 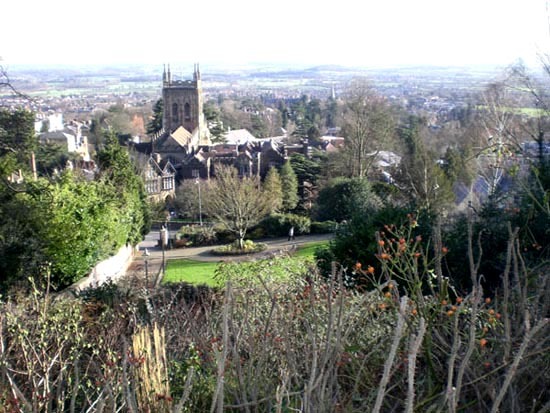 The Gateway project is being developed alongside the Malvern Hills District Council scheme Route to the Hills and the Friends of Malvern Springs and Wells Discovery Trail. The Malvern Hills are a major multi-interest, outdoor recreation facility comparable to a National Park yet there is no formal access provision. In fact it is argued they are Great Britain's original national park in all but name. Visitors to the town often comment that they can see the hills but don't know how to get to them. From a commercial perspective this is a substantial potential customer base awaiting products and services. National Parks are well organised with such facilities but nothing exists along these lines for the Malvern Hills. Visitor numbers are estimated to be between 1 - 1.5 millions per annum and this argues the provision of such services. The disused rear buildings, which become the Gateway retail facilities will be a key part of the reorientation of Mount Pleasant's premises and will be in tandem with the more formal facilities indoors of The Malvern Tea Rooms and the Hotel. Planning Permission for the re-use of the disused buildings for the visitor centre was granted in 2012. The Gateway building refreshment bar would offer a seasonal indoor and outdoor service to those going through the grounds to and from the hills. 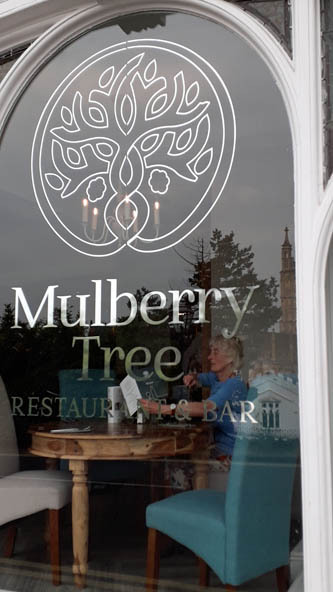 Where hikers and outdoor clothing is necessary, the customers would be able to refresh but without having to enter the more formal premises of the existing hotel and restaurant. The Gateway building will also house a small retail facility, selling items relevant to the geography and heritage of the hills. This will particularly include guide books and maps. This could be an extension of the existing facility in Malvern Museum and the Toursm Information. A number of significant museum exhibits will be on display to underline the heritage of the hills. 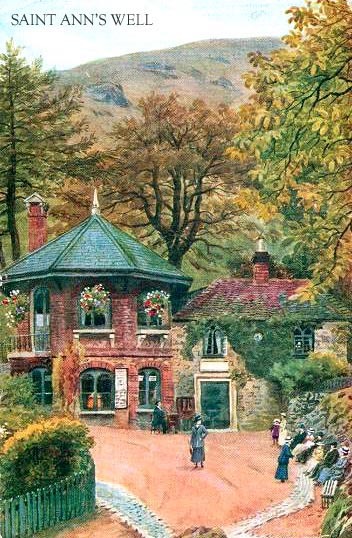 These would be under the care of Malvern Museum and could include the Owls Hole Pump and Engine, historic framed prints and pictures, the Foley Fountain and other interesting exhibits relevant to the attributes of the Malvern Hills. Many items are available but hitherto not displayed to the public or are already on-site. The main hotel and restaurant will benefit from the additional facilities in that all inclusive weekend packages and holiday deals could then be offered. These could possibly include guided walks detailing the geology, topography and water heritage of the hills. Such packages could also coincide with donkey weekends for those who would like to partake in a traditional way of going to St Ann's Well. The May Day well decorating weekends will be a major opportunity for special weekend packages. 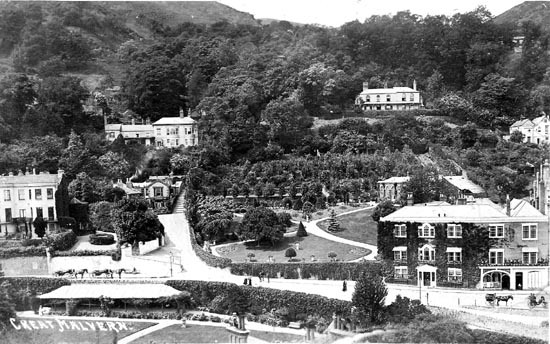 The Mount Pleasant - Gateway to the Hills more than a century ago. 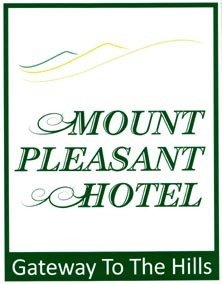 To find out about the Foley Fountain at the Mount Pleasant click web site below.